Enjoy our high level transfer services to/from Alyzia Hotel and we promise you the best transport prices without waiting at airport, port, station and without hidden debits. Enjoy our high level transfer services to/from Alyzia Hotel and all over the Greece and we promise you the best transfer prices without waiting at airport, port, station and without hidden debits. Centrally located in Exarchia area, one of the most crowded and alternative districts of Athens. Alyzia hotel offers colorful-bright rooms with private bathroom, tv and free wifi internet. Renovated and well maintained the hotel is close to the National Archaeological Museum and the Polytechnic University of Athens. 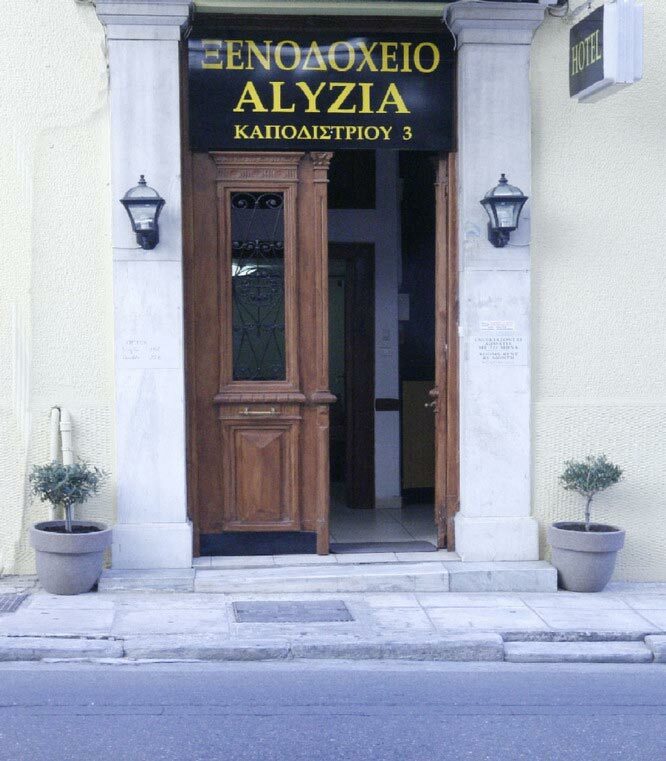 The Alyzia is a comfortable base for students, individuals and small group travellers for exploring Athens and surrounds. The hotel also has a rooftop you can relax, surf on the internet or exchange stories and meet new travel friends. Offers low Cost Athens Airport Transfers Services to/from Alyzia Hotel transportation with (shuttle, minibus, van, taxi, cab, minivan, limousine and coaches).